In the middle of my outrageously large IKEA Trofast building project, I realized how much scrap wood we had in the garage taking up space. It was mostly pre-primed lumber. I set out to find something useful to make out of it. The first project, wooden storage crates, was inspired by I Should Be Mopping The Floor. 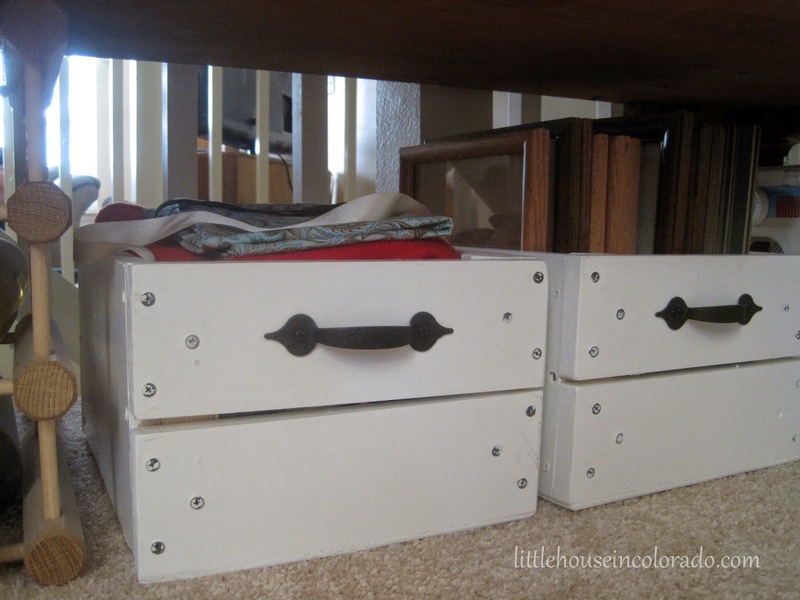 I can always use more containers to hold stuff and I liked the look of the white wooden crates she made. I've got them under the buffet in my dining room for now. The handles were purchased from Lowe's for $1.38 each. They were thin, but strong. I would have preferred a beefier, more rounded handle (much like the ones in the original tutorial from Hobby Lobby), but these were the only ones that had a rustic look to them. 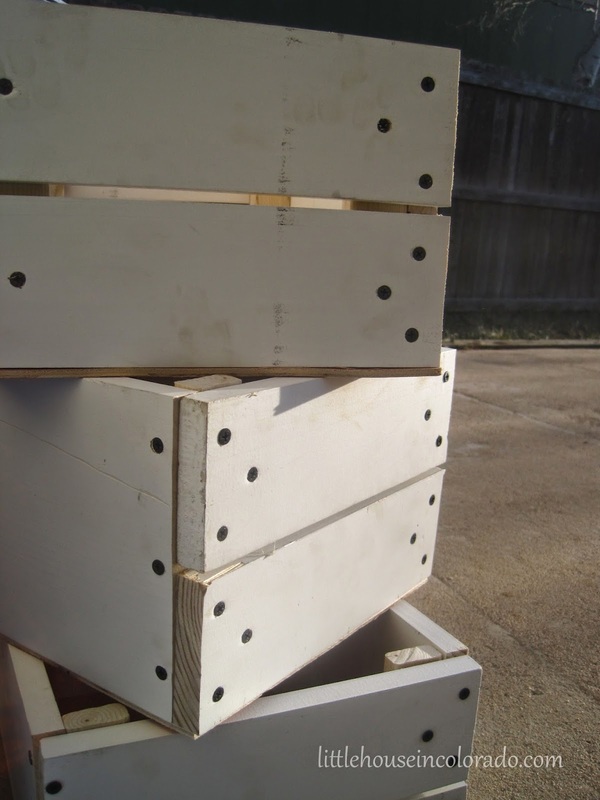 They're strong enough for sure, but they are thin so if the crates are heavy, the thinner handles would make the crates less comfortable to carry. I also made two shelves inspired by Turnstyle Vogue. They added additional storage in The Girl's room. 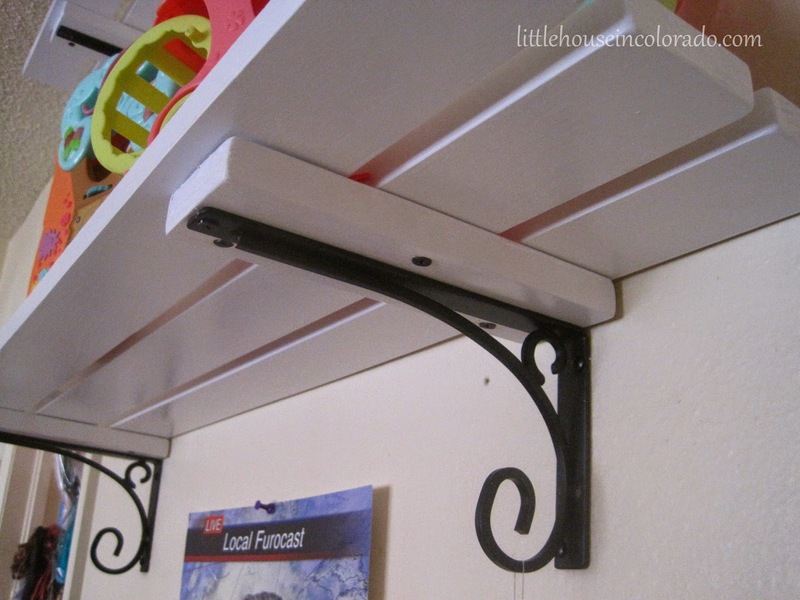 To get the required depth needed for the brackets, the shelves wound up with some additional space between the slats. That makes the shelves look more like fencing but they work. 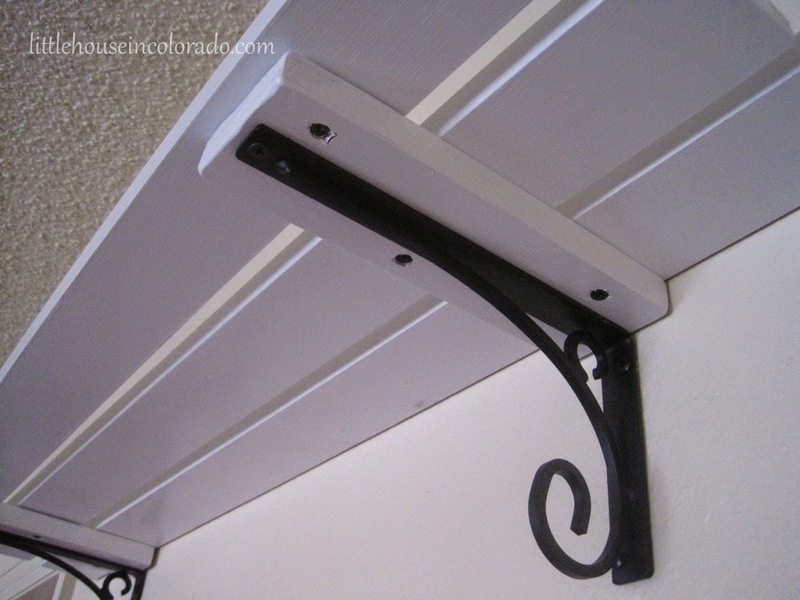 The brackets came from Lowes and were $4.97 each. Free lumber. The garage cleared out a bit more. 2 quick projects done. More storage space acquired. Win! 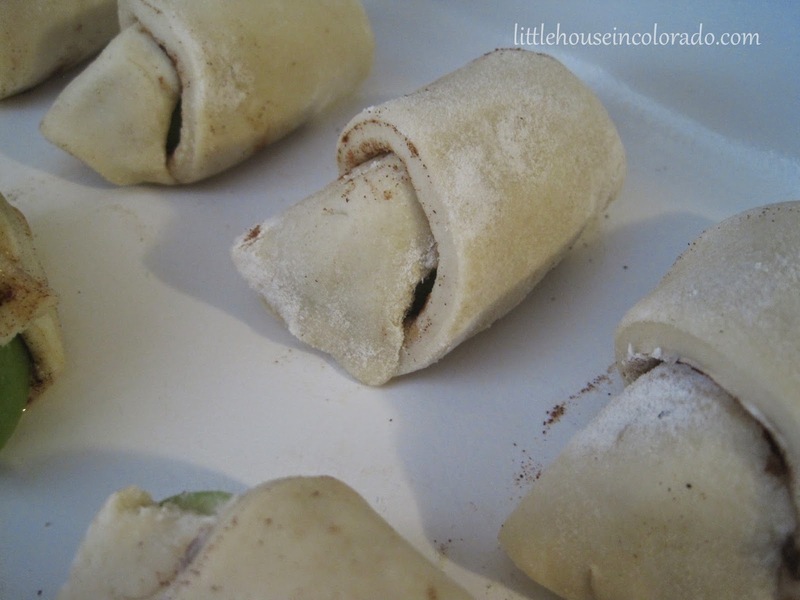 This is a refrigerator dough version of the Easy Apple Dumpling recipe I've used multiple times in the past. 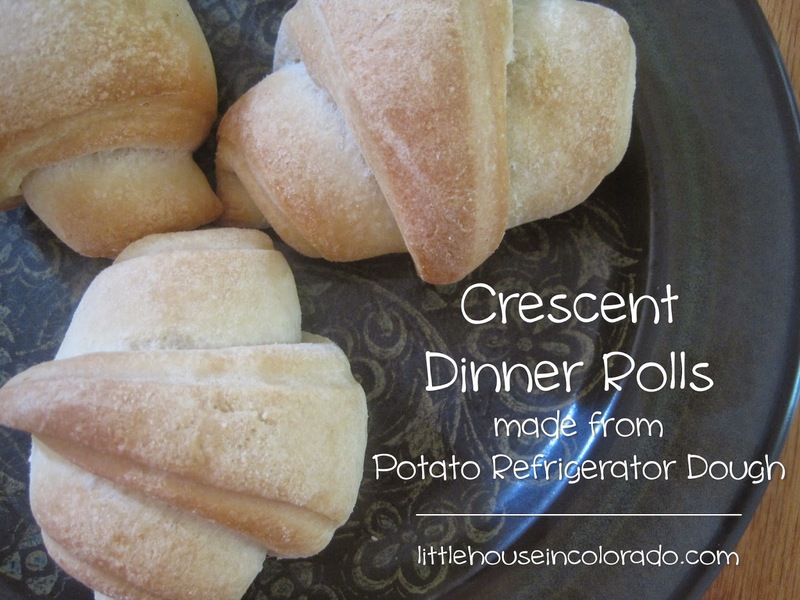 In my quest to steer away from store-bought convenience foods (like the canned crescent rolls called for in the original Apple Dumpling recipe), I've begun to see how many of my older recipes could be made using the Potato Refrigerator Dough as a substitute for certain ingredients. 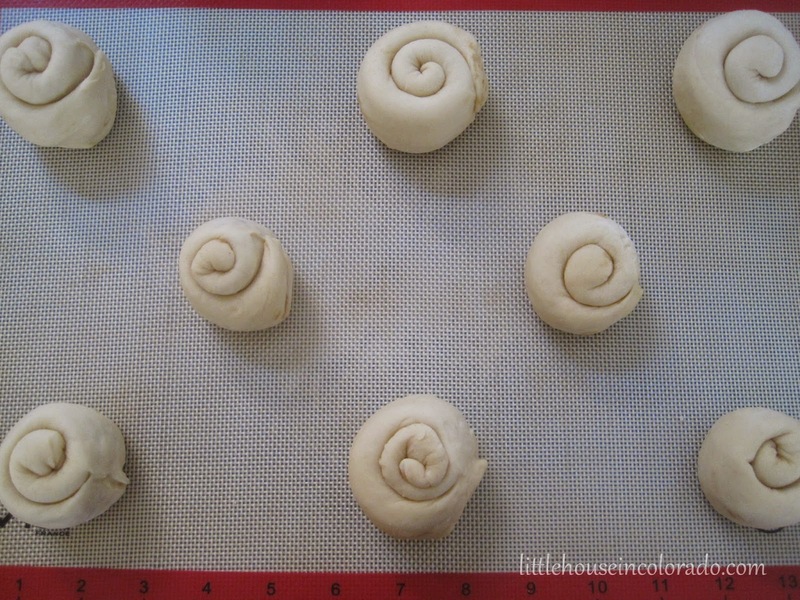 - Roll 1/4 of the Potato Refrigerator Dough Recipe into 14-inch circle. 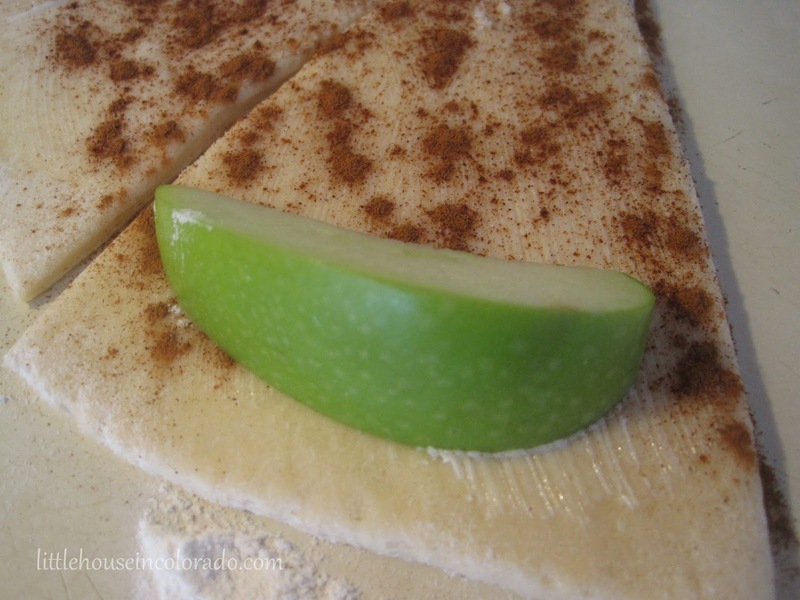 - Brush or spread each wedge with softened butter. - Cut a large Granny Smith apple into 8 wedges. - Place evenly spaced into a greased or buttered baking dish (I usually use something between an 8x8 and a 9x13 dish). 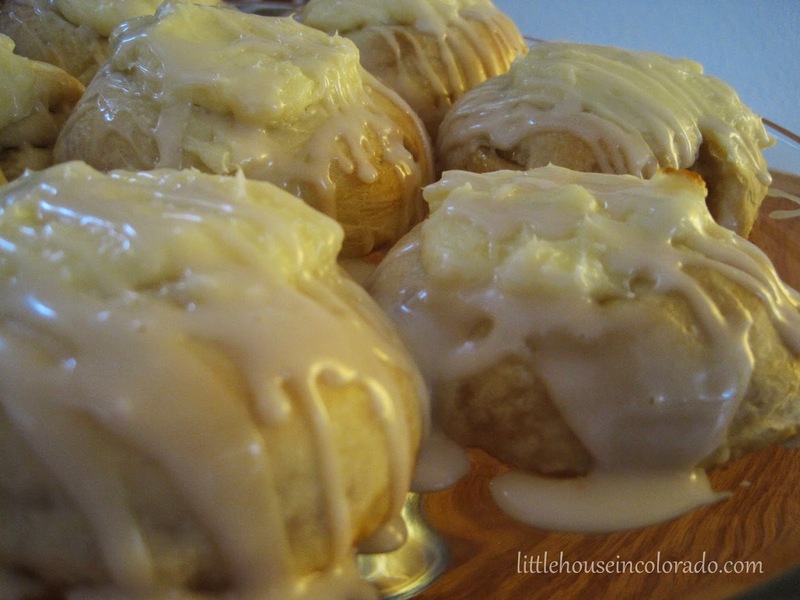 - Mix together 1 stick of melted unsalted butter, 1/2 cup granulated sugar and 1 tsp vanilla extract. Pour butter mixture over and around the dumplings. 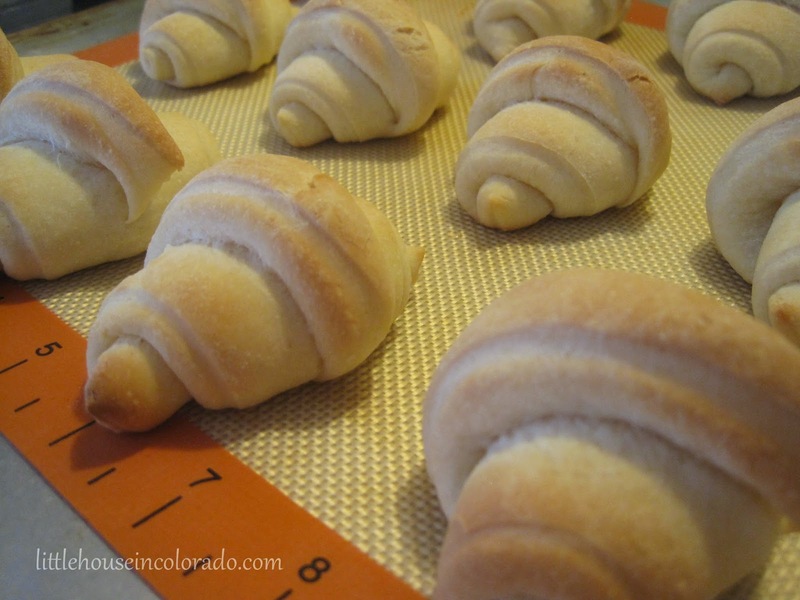 - Bake at 350°F degrees for 35 to 40 minutes until nicely golden brown. "Bare Bones" Cell Phone for $30 A Year? Yes, Please! If your phone is your lifeline, if you have to upgrade your phone all the time, or if you have to have all the bells and whistles, this post will probably not interest you (though it may still save you money). I am not known for my cell phone use. In fact, people would probably say I am known for NEVER answering my cell phone, for forgetting to charge my cell phone, and even more often, for not even having my cell phone turned on. I don't make calls on my cell phone. I don't text...ever. I don't own a smartphone and have no desire to own one. I would be happy just not bothering with a cell phone except Mr. LH insists I have one "for emergencies". 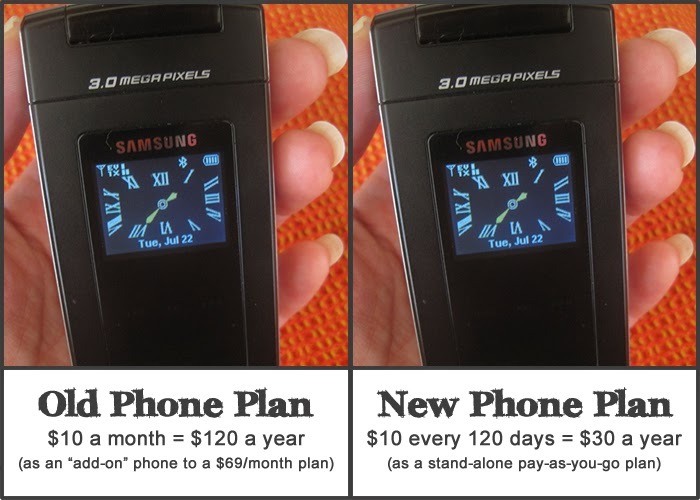 For years, I have had cell phone service through Verizon on a plan with shared minutes that allowed us to have an "add on" phone for $9.99 a month (after all regulatory fees and taxes it wound up being over $13 a month but we'll just say it's $10/month to make it easy). Last month, my phone enjoyed 5 minutes of call time. I wasn't even the one making the calls. The Boy had my phone so he could call us when he was ready for a ride home after his Boy Scout meetings ended. That "emergency" phone got to be quite expensive to have. A few weeks ago we cancelled my phone on our Verizon plan. I was going to test a new (new to us) provider, Page Plus Cellular. The reviews for Page Plus are all over the place, from good to bad. I noticed that most people who do complain are upset about data streaming speeds. I have also read very positive reviews from people who use a lot of data. But I don't need data. I only need to be able to call for help in an emergency (and occasionally let The Boy use my phone when he's at Boy Scouts). And the majority of the reviews I read from frugal-minded people (especially those who, like me, don't need a phone to do much more than make a phone call), were quite positive. I get (sort of) the same coverage with Page Plus as I did with Verizon. 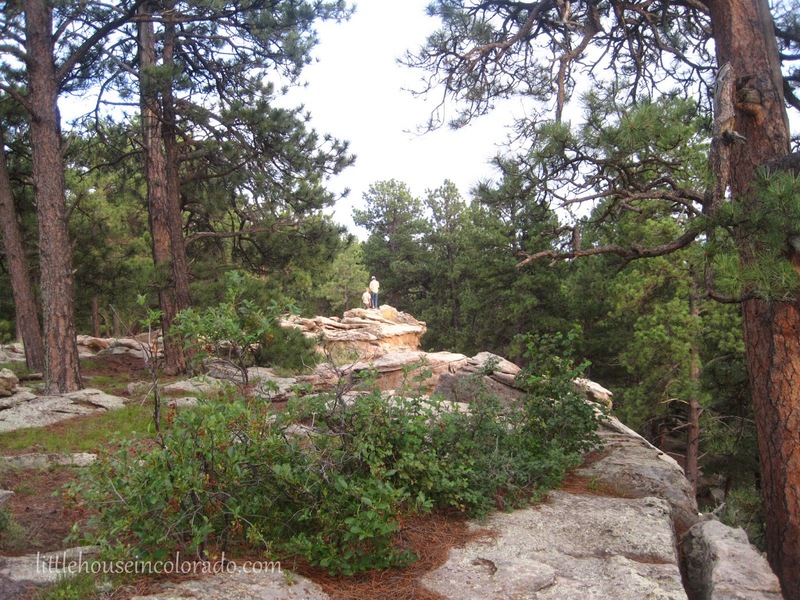 In Colorado, coverage looks to be a little spotty in parts of the higher mountains and the eastern plains (voice available in most areas and no coverage in some areas) but in the areas I would be most likely to travel, I shouldn't have a problem. Near The Boy's camp outside of Elbert, Colorado, my Page Plus phone had no signal. Mr. LH's phone showed one to two bars. Inside the camp (rocky, hilly and covered with trees), neither phone had a signal. You can view the coverage for your area by typing in your zip code on the Coverage Map. I was able to use my current Verizon phone (a 4+ year old Samsung SCH-U900 FlipShot) so I didn’t have to buy one. It still worked fine and I don't need the "latest and greatest". If it dies, I'll find another old phone to use. $10 was all it took to activate my old phone with the new phone number (after 4 years of living in Colorado, I still had a NC phone number - it was time to fix that). If I had chosen to keep my old number, activation would have been free. After just a few minutes and a few steps, my phone was up and running with a new number on the new service. I was provided with $2 of calls/texts/data to "test things out". Page Plus has a lot of available plans, but I wanted the bottom of the barrel one because I rarely ever use my cell phone. I went ahead and purchased the bare minimum pay-as-you-go card online, received an immediate confirmation with a PIN, and entered the PIN online. It was all quite easy! Now I have 100 minutes that will expire 120 days from now if I don’t use them. At that time, I can purchase another 100 minute PIN. It cost me $10 for the minutes (technically, it came to $11.11 with all the regulatory fees and taxes). So that works out to $30 a year for up to 300 minutes (that I will still probably never use) verses $120 a year that we were paying through Verizon with a cheap $10 a month “add-on” plan. I have the same phone, almost the same coverage, the same "emergency communication capabilities" and a new number...all for $90 less per year. All opinions are my own. Page Plus Cellular is in no way affiliated with this blog and did not request a review. Also, Mr. LH and I have always been happy with Verizon phone service and Verizon customer service...just not the price. Since we do sometimes travel to remote areas, Mr. LH will be keeping his Verizon service but changing it to a smaller plan. That way, there's a better chance we will have a signal when needed. 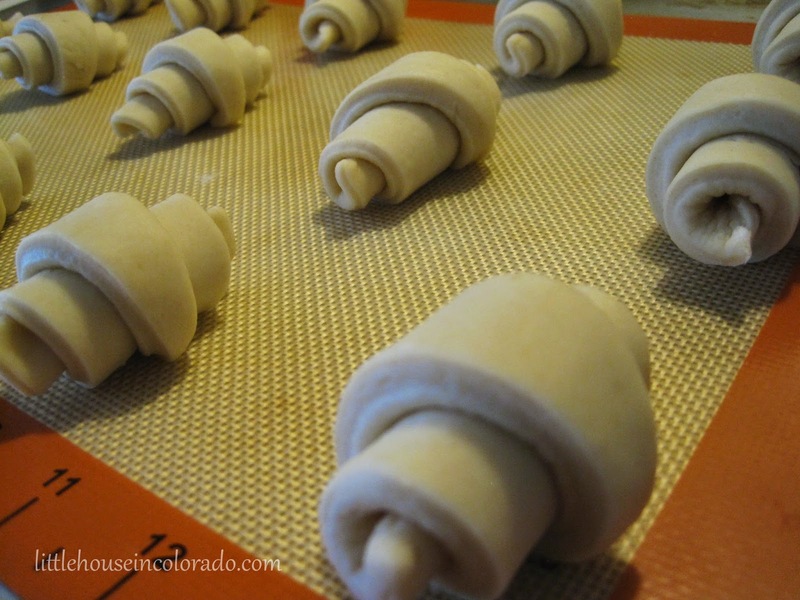 When I found out the Potato Refrigerator Dough Recipe could be used to make crescent rolls, the wheels started turning. 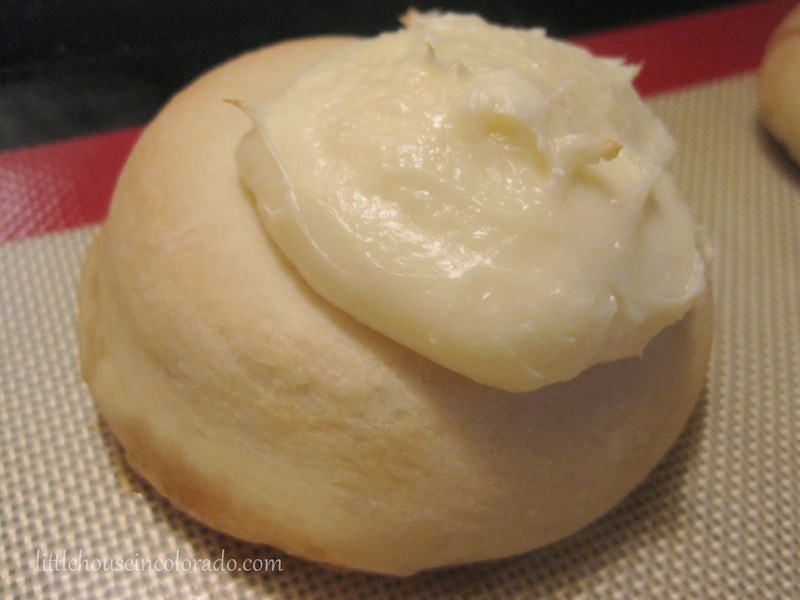 Several years ago I tried an easy cheese danish recipe that I liked. 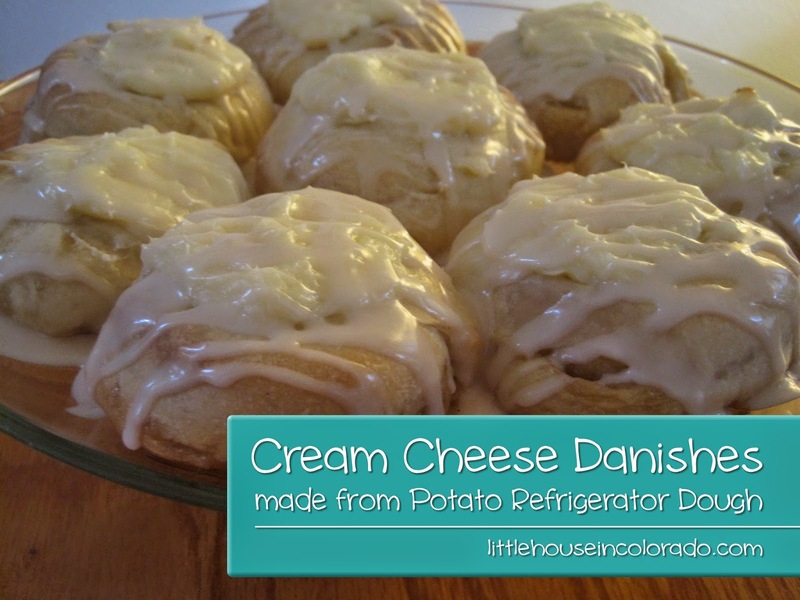 I knew I wanted to try making those danishes by substituting this potato refrigerator dough for the store-bought crescent rolls in the recipe. 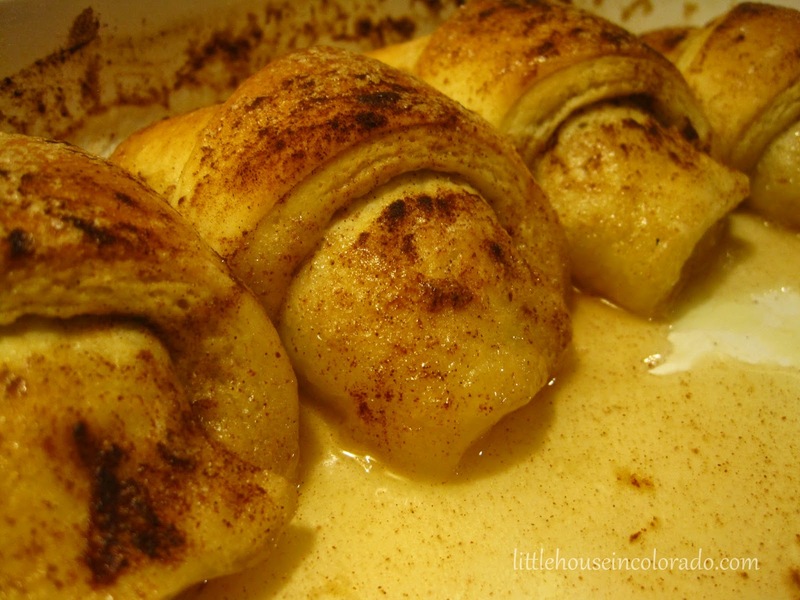 This is not going to turn out a flaky, dense pastry like traditional danishes, and although this recipe takes a little longer to make than the Refrigerator Dough Cinnamon Rolls, the results are quite good! Mr. LH bit into one and said "Wow!" He had 2 more the next day (of course, I had more than my share myself). 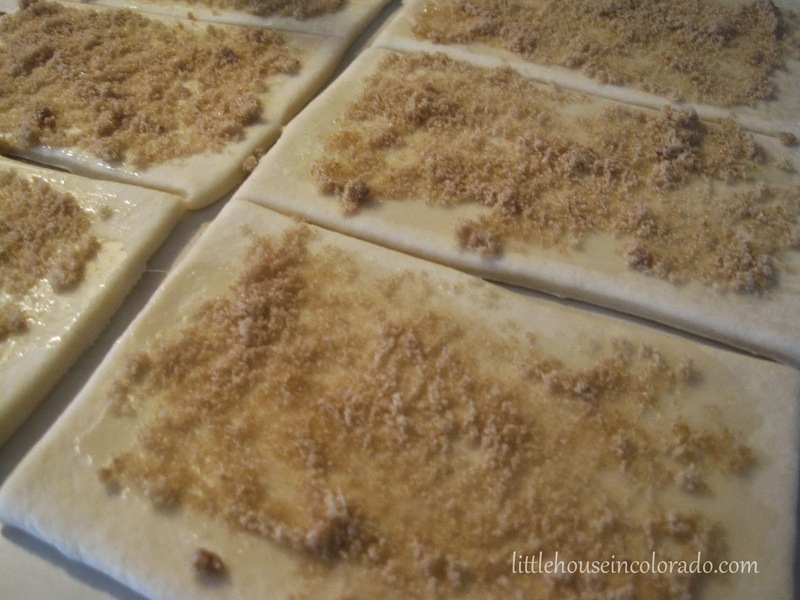 - Roll 1/4 of the Potato Refrigerator Dough Recipe into a rectangle 1/4 inch thick. 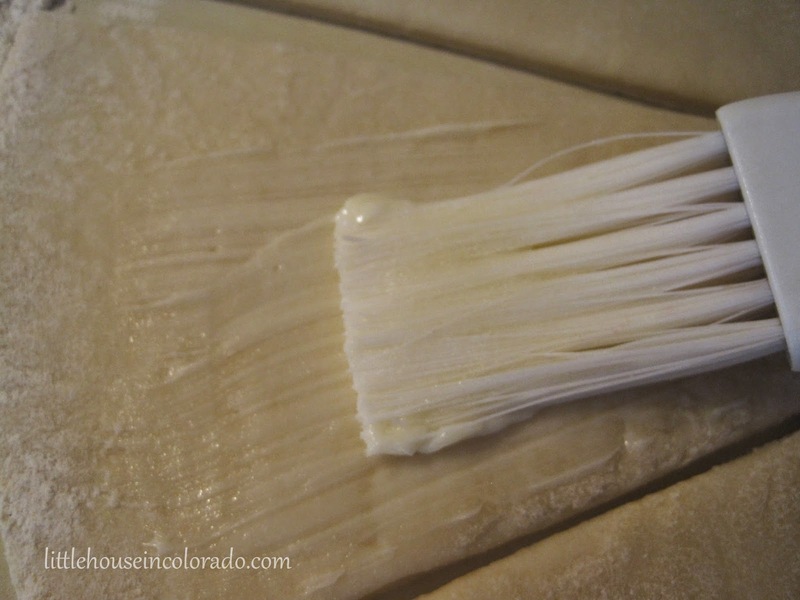 - Brush each block with softened or melted butter. 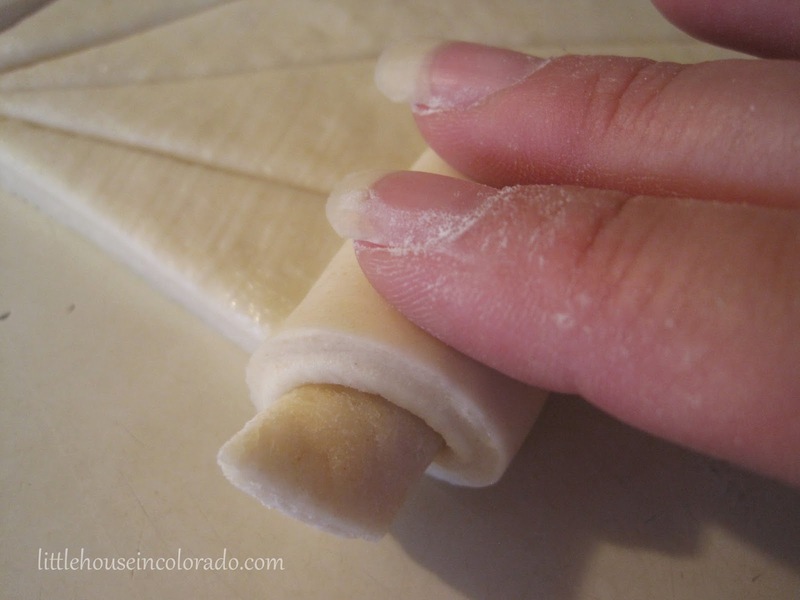 To do this, I rolled, squished and pinched the dough to make my rolls skinnier and longer after I pinched the edges shut. Then I coiled them. A couple months ago when I wrote about cutting my food budget, I mentioned couponing as one of the methods I used. If coupons are used incorrectly, they may hurt your budget causing you to choose to buy products you don't need and may not want or use, simply because you can save money. However, if used correctly, coupons can be a fantastic tool for saving money. And when you're working to pay off debt like we are, every penny counts! You can find coupons in your Sunday newspaper. Inserts from SmartSource, RedPlum and P&G are chock full of clip-able coupons. You can also usually find a couple in the Parade Magazine insert in the paper. If you don't want to get a subscription, check your recycling center for Sunday papers or ask around your neighborhood or within your circle of friends and family. I don't use the bulk of the coupons I have but I save baby coupons and pet coupons for friends that can use them. The rest I list on Freecycle (another good resource for coupons). Magazines advertise heavily and every once in awhile you will find an ad with a coupon attached. All You Magazine is a great resource for clip-able coupons. Last week at the dentist's office, I saw a stack of coupons for crest toothpaste, toothbrushes and mouthwash. There were also coupons for Listerine and ACT mouthwash. Although we never have to buy toothbrushes (we get new ones from the dentist every 6 months), I snagged some of the other coupons for toothpaste and mouthwash. Manufacturers coupons can be printed online. Find them on brand websites or places like Coupons.com. Most of the time, you are allowed to print only 2 of the same coupon. CommonKindness.com is a printable coupon website that offers lots of coupons for mainly organic and fair trade products. And every time you print and use one of their coupons, CommonKindness "provides funds to support your favorite charities and causes" that you choose from their extensive list. 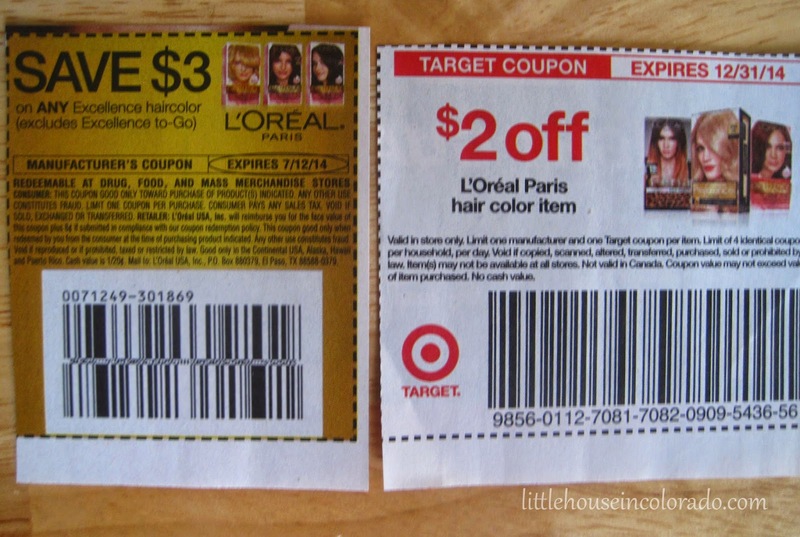 Store loyalty cards can carry digital coupons. You can add these coupons directly to your cards from the grocery store websites or you can go to RedPlum.com and SmartSource.com. These are two of the newspaper coupon publications and they will let you load some coupons directly to select loyalty cards. You can then print out a "shopping list" of the coupons associated with each loyalty card. Most every free sample you receive will come with a coupon...many times it is a VERY nice coupon. I recently received a Listerine coupon for $3 off! I also received two $5 coupons for Science Diet cat food with no expiration date. The easiest coupons to obtain and use are the ones right there in the store aisles right nest to the product. They are the ones on tear pads or in blinking machines that dispense coupons. Use one now and take one for later. How Do You Maximize Coupon Savings? "Before I started using coupons, my trigger price for cereal was $1.77. After I started couponing, my trigger price dropped because I knew I could buy cereal for $1 to $1.49 per box. As I got better at couponing I found I could get the final price even lower on cereal. Now if I can't buy cereal for 50 cents or less, I usually won't buy it. I have a stockpile of cereal that will last a while so I can wait for the right sale and the right coupons to be able to get that price." Two stores I frequent will double coupons up to $1 value (coupons 49 cents and below double while coupons 50 cents to 99 cents become $1). If this caused an overage, one of those stores will even apply the overage to your remaining total. "Double coupons" makes me wonder why on earth I didn't take advantage of coupons before. I used to turn my nose up at "50 cents off" coupons. But at the right stores, those coupons become "$1 off". In some cases, these doubled coupons equates to "free stuff". These are all free items from one shopping trip. 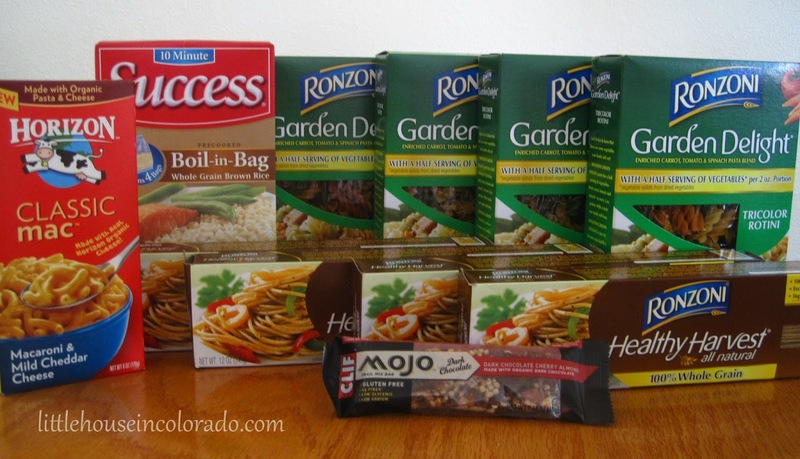 The Success Rice was purchased for free using a coupon from the manufacturer for one free product. All the pasta and the Clif bar were purchased for free using doubled manufacturer coupons against already low sale prices. Sometimes, things will align just right for you to be able to "stack" coupons. That means you are using a store coupon and a manufacturer coupon for the same product. The best way to maximize your coupons is to use them against sale items at various stores to find the best deals. This can be a lot of work, especially when you take into account different stores policies for doubling and stacking, but thanks to the internet there are sites that do most of the legwork for you. My favorite site to use is The Krazy Coupon Lady. On this site, you get a heads up about the coupons coming out in the Sunday paper. She also will match coupons to sale items for countless stores (choose your store to find your deals). Then, if there are deals spotted throughout the week, those are posted as well (and matched to coupons). Sign up for their email list and you won't miss a deal. 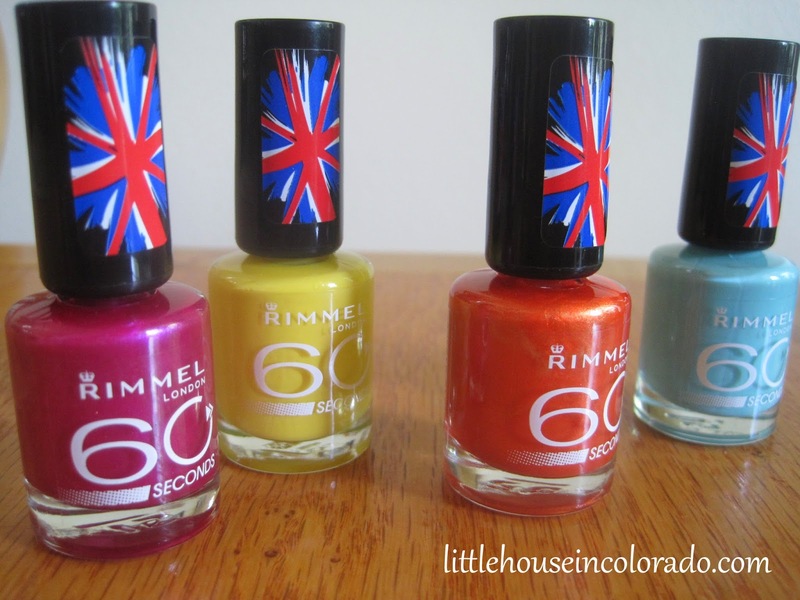 I was able to buy these nail polishes for The Girl for 27 cents a piece from Walgreens using coupons and a BOGO half off sale (she chose the colors based on her favorite Pokemon). If I had started couponing just a couple weeks earlier, I could have scored these at Kmart for FREE! These sites also track Target's store coupons but don't track any personalized grocery store coupons that you may receive in the mail or online so you'll have to match those up yourself. You're saving money using coupons, but there's more you can do beyond that. With just a little more time and effort (just a little), you can get cash back for certain products. It's like a delayed coupon. I'd call it a rebate, but rebates can be a pain in the neck and take a long time. Checkout51 lets you take a picture of your receipt and upload it to their website to get cash back on certain product purchases. New deals are posted every Thursday and run for a week. When you buy them (one or any combination of them), you take a picture of your receipt and upload it. When your account reaches $20, they send you a check. I've used this service the most, mainly because you don't have to have a smartphone to use it as with similar services. SavingStar is another cash back offer website. They don't have as many cash back deals to offer as Checkout51 but you can find digital coupons here to send to select loyalty cards. Ibotta offers cash back and is quite popular but requires you to use an app. Again, I don't have a smartphone so I can't take advantage of these deals. If you have the patience and the time to put forth the effort, look into rebates. I purchased Crest Mouthwash priced at $3.99. I used a $1 coupon and then sent in a rebate form for $3. Within a few weeks I had a $3 debit card in my mailbox. "Before I started using coupons, buying deodorant was always so expensive! When it went on sale, I would buy a couple containers even though it still cost a lot. When I started couponing, I was excited to get deodorant for 49 cents ($2 coupon against a sale item). Last week, I got three deodorants for free...just by matching doubled coupons to sale items. Now I have enough deodorant for the entire family and won't have to buy any for the next year." 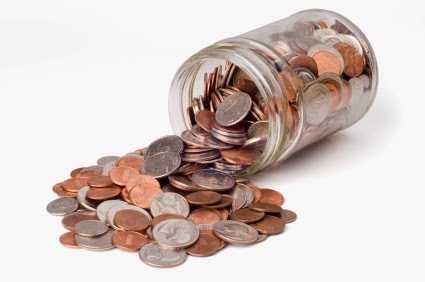 There are so many ways you can save. You just need to be patient and wait for the right deals. So take your time, stay away from things you wouldn't normally buy and have fun couponing! 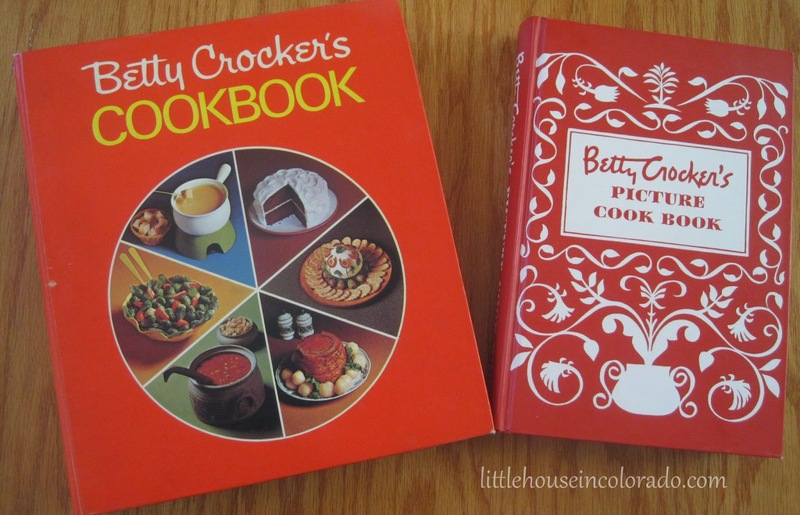 Crescent Rolls are one of the variations for Potato Refrigerator Dough provided with the recipe in my 1973 Betty Crocker Cookbook. However, the baking instructions suggested baking at 400°F which I found to be much too high, so I changed it as well as a couple other minor things. 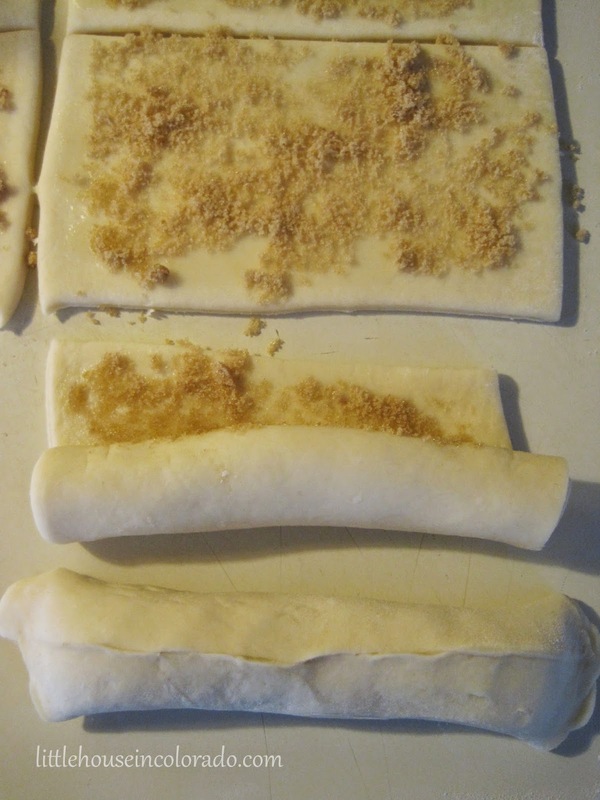 - Spread dough with softened butter. Mmmm! 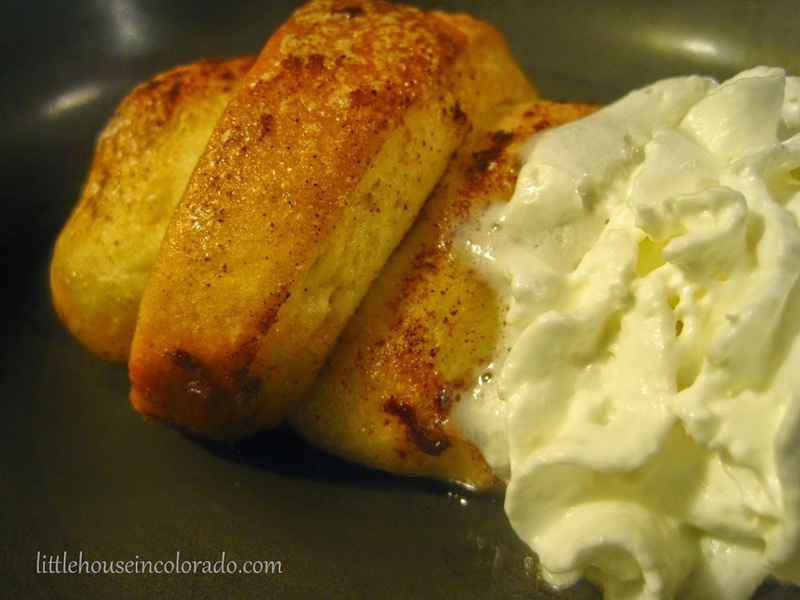 Light, fluffy, and delicious...especially with a pat of butter! 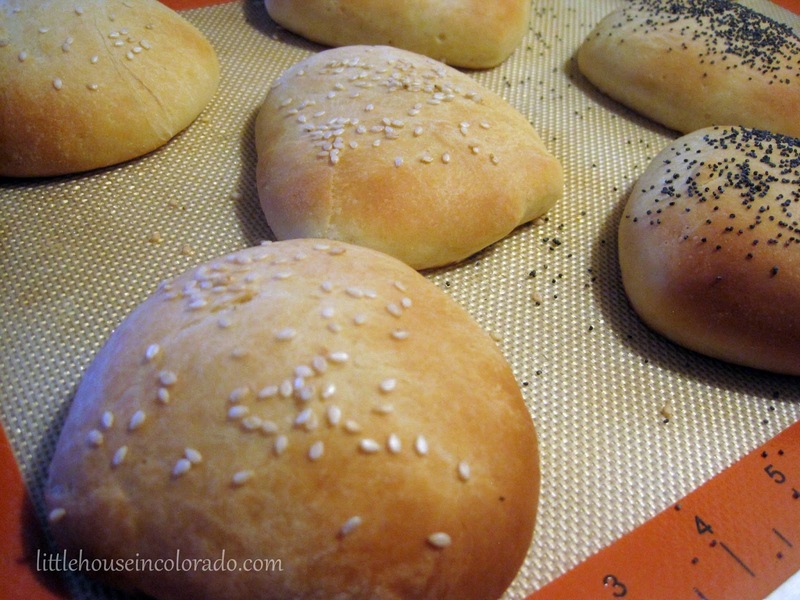 While I was experimenting with the Potato Refrigerator Dough, I figured I try to make some hamburger buns. 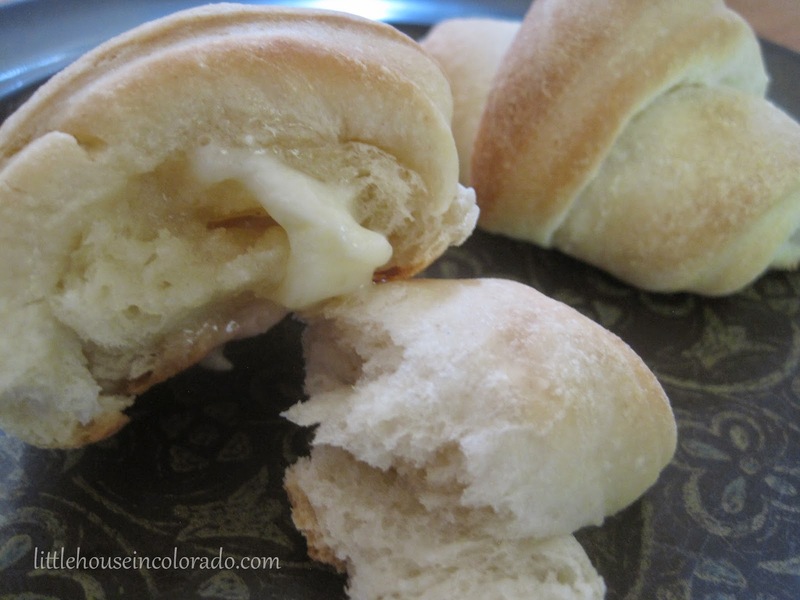 I had already changed around a hamburger bun recipe to make hot dog buns out of this dough. It made sense to see if the new recipe procedure would work for hamburger buns, too. 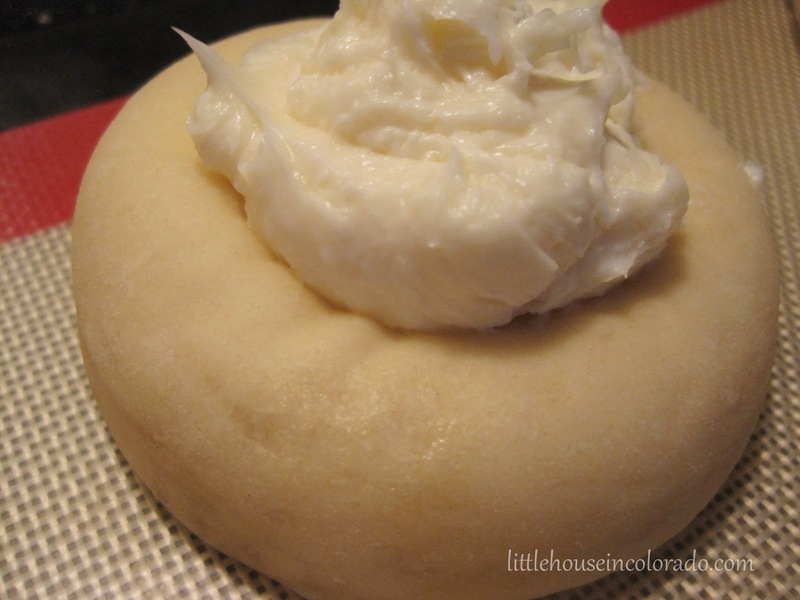 Use 1/3 of the Potato Refrigerator Dough recipe. Section it into 8 equal parts. 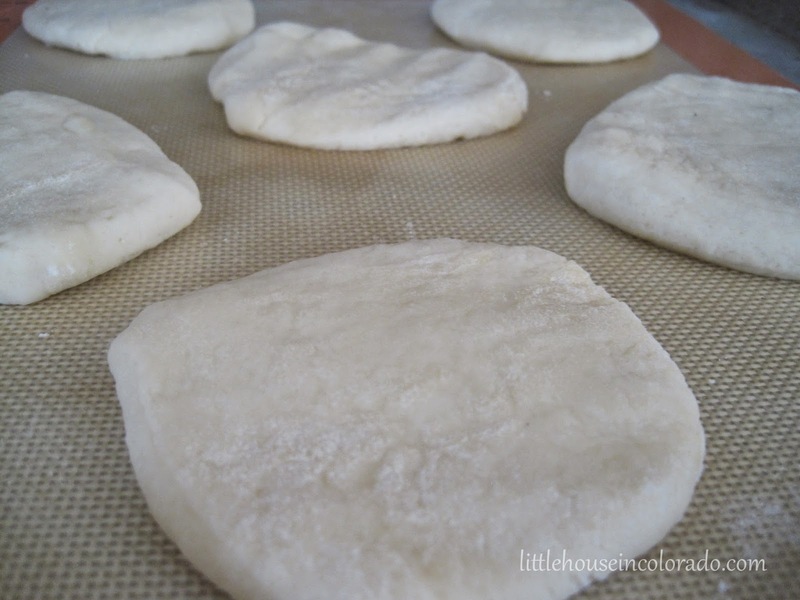 Shape each part into smooth ball on lightly floured surface then flatten to about 1/2 inch (this should make your dough rounds approximately 3" across). 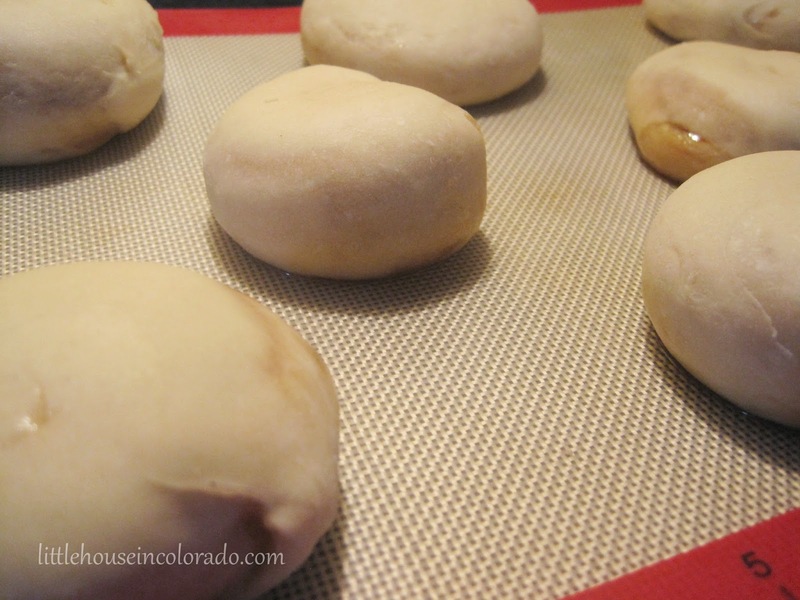 Place about 1 inch apart on greased cookie sheet (or use a silicone mat on the baking sheet). 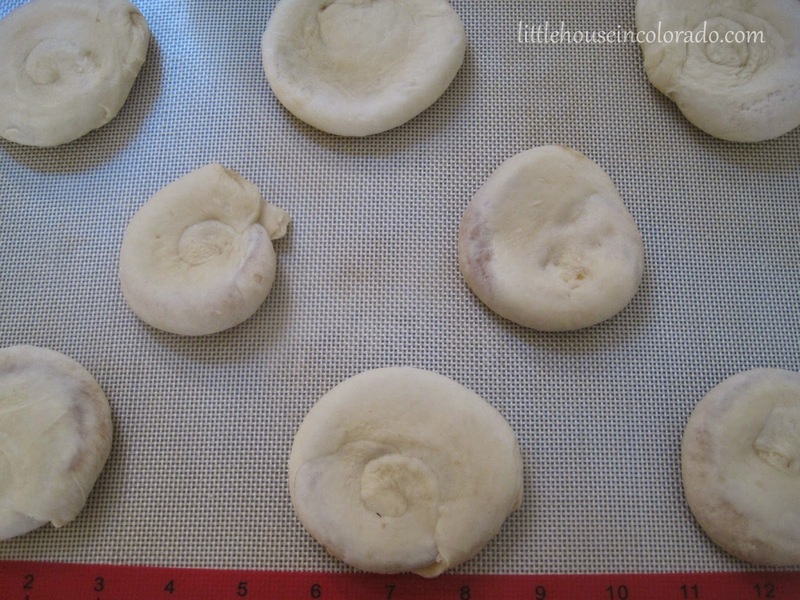 Loosely cover the dough with a cloth and set aside to rise until doubled in size, approximately 60 to 90 minutes, depending on the humidity and temperature of your kitchen. (I usually rise dough in my oven with the light bulb on). 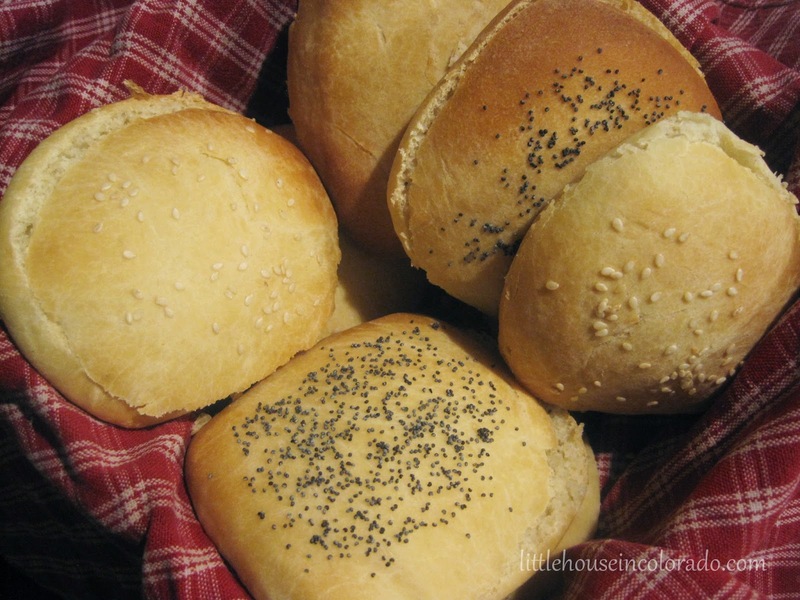 Brush buns egg wash and sprinkle with sesame seeds or poppy seeds if desired. Bake until golden brown, 20 - 22 minutes.